Welcome! We are Andres & Dave Acoustic Duo. We play both Spanish & American Music. To enhance our sound production and to get people out on the dance floor we incorporate drum beats and rhythms. What sets us apart is we play beautiful romantic latin music by artists like; Enrique Iglesias, Louis Miguel, Marc Anthony, etc. And of course we play a whole variety of english music such as The Beatles, Brett Young, Justin Bieber, Bob Seger, Bryan Adams, Garth Brooks, etc. Additionally, we can sprinkle in some of our own originals if you'd like. Here's what you can expect when you hire us; We are both seasoned professionals. Andres, the singer, has won multiple awards for his fine vocals. Dave, the guitar player, is a multi-instrumentalist and has been in the music business for decades. We both know what it takes to deliver a quality product to our clients. Our sound, our looks, our music, are delivered in a very high quality, professional manner. We promise you won't be disappointed! Let us take your party to the next level! 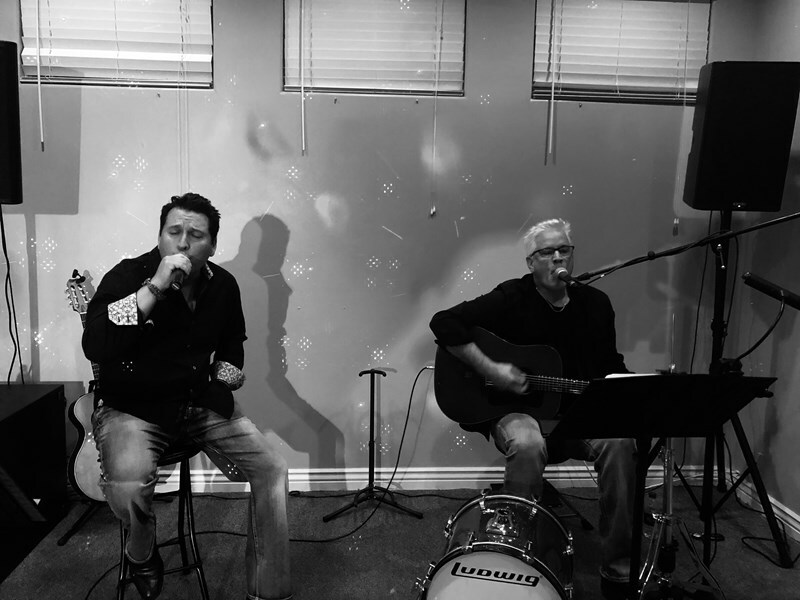 Please note Andres & Dave's Acoustic Duo will also travel to Chandler Heights, Chandler, Tempe, Mesa, Scottsdale, Bapchule, Fountain Hill, Higley, Sacaton, Apache Junction, Coolidge, Tortilla Flat, Gilbert, Florence, Sun Lakes, Casa Grande, Carefree, Phoenix, Eloy, Superior, Stanfield, Fort Mcdowell, Maricopa, Glendale, Peoria, Paradise Valley, Cashion, Laveen, Sun City, Kearny.